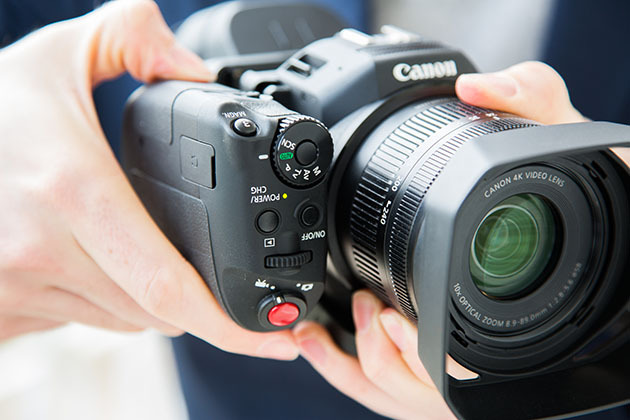 Bridging the gap between Canon’s Cinema EOS range and video-enabled DSLRs, the XC10 is primarily aimed at videographers seeking broadcast-quality video – perhaps to use as a second camera alongside a professional DSLR, but without the need for extra lenses. 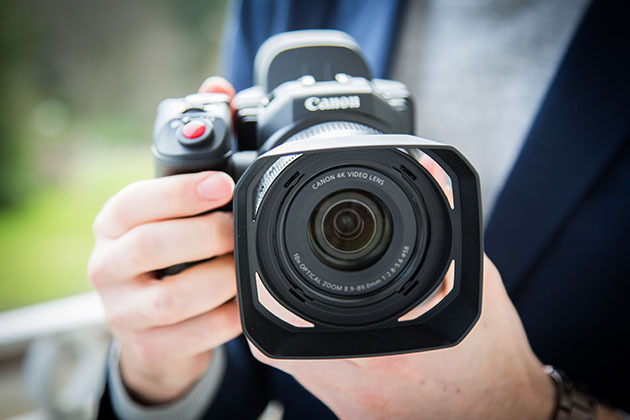 ‘It’s very small and portable, you can put it in a bag and shoot stuff on the fly,’ said Frankie Jim, pro imaging intelligence professional at Canon UK. 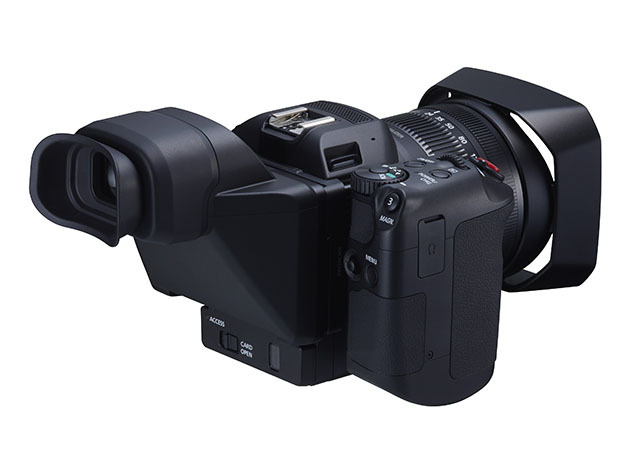 However, Canon hopes to win over photo enthusiasts and says it is pitched to go head-to-head with the 4K-equipped Panasonic Lumix DMC-GH4 CSC. 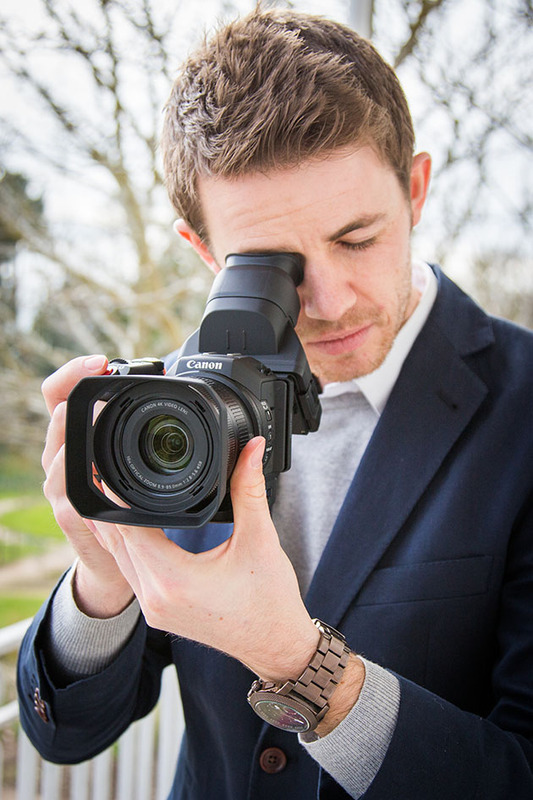 Features of the XC10 include a 24.1mm-241mm (equivalent) lens for stills (27.3mm-273mm for video), an EOS-flash/accessory-compatible hotshoe, a top sensitivity of 20,000 and image stabilisation. 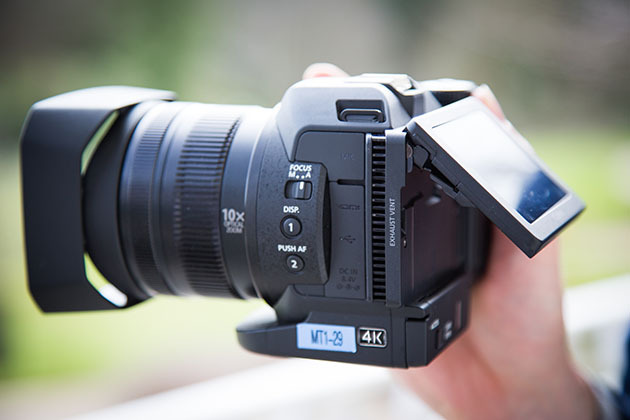 Users can also extract 8.29MP stills from 4K videos. 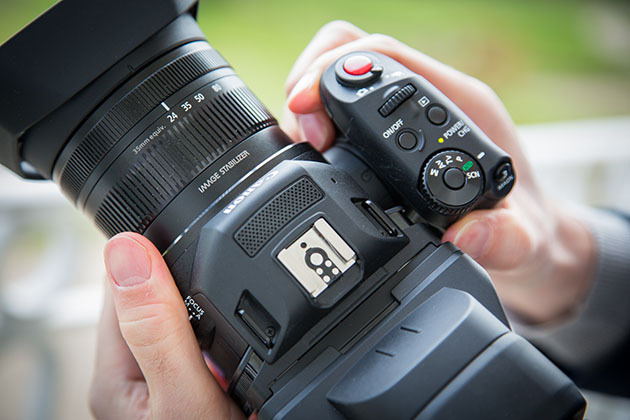 Although full HD video can be transferred to an SD card, 4K footage must be stored on a CFast 2.0 card. The 930g XC10 also sports a 3in (1.03-million-dot) tilting screen. The XC10’s functions can be controlled wirelessly, using a tablet or smartphone – making it suitable for remote use when mounted on a drone, for instance. 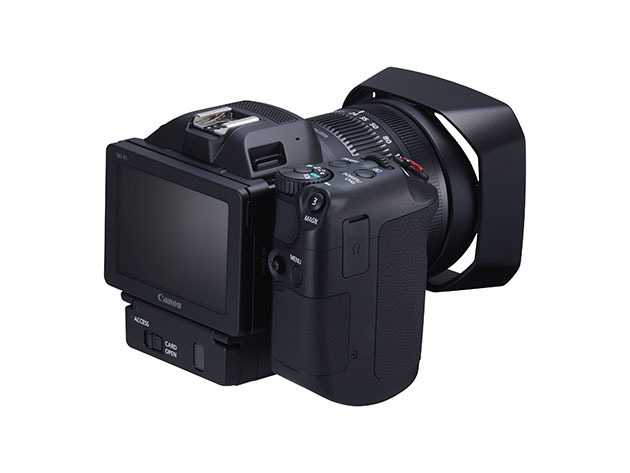 There is no EVF, but an optical loupe viewfinder that attaches to the LCD screen is included in the basic kit, which will cost £1,599.99.